Today is a wonderful day. 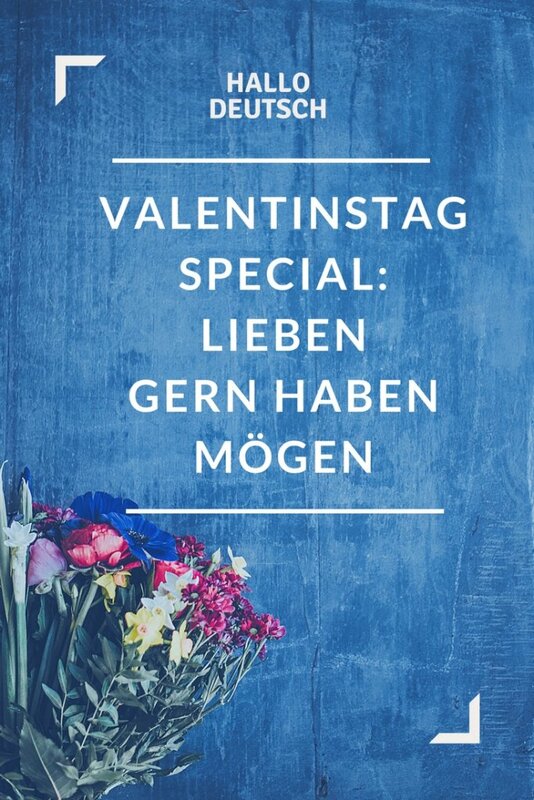 It’s Valentine’s day and I want to take the chance and tell you how to tell your loved ones that you love them (in German). Today’s day is all about love and it reminds us to tell them how precious they are. 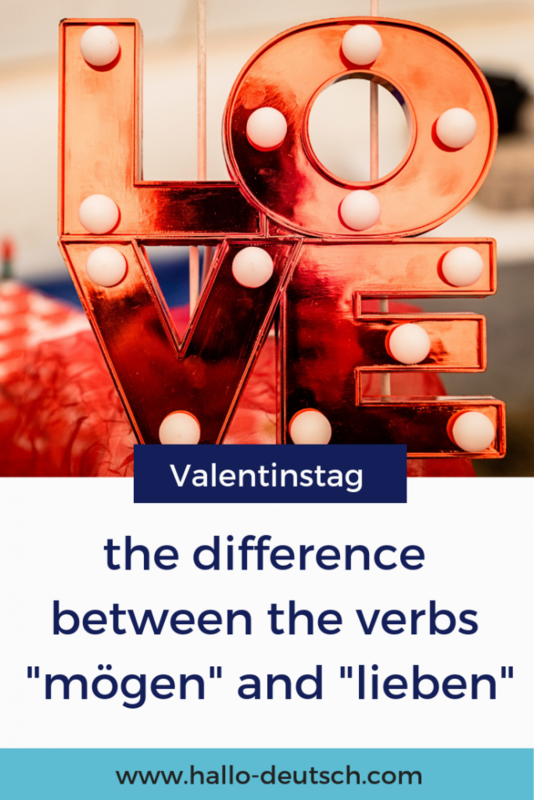 In this article, I will explain the difference between the verbs mögen, lieb haben and mögen. I want to explain three words that are used to express our love to a person. In the German language, we use different words for expressing if we love or like a person. The differentiation between telling your loved ones, a family member, or a friend is also important and you need to pick the right word. The verb “lieben” describes a strong love for someone. You can use the word to express your feelings to a person you truly love. It is way stronger than “Ich hab dich lieb” and rarely used for expressing your feelings in a friendship, for example. 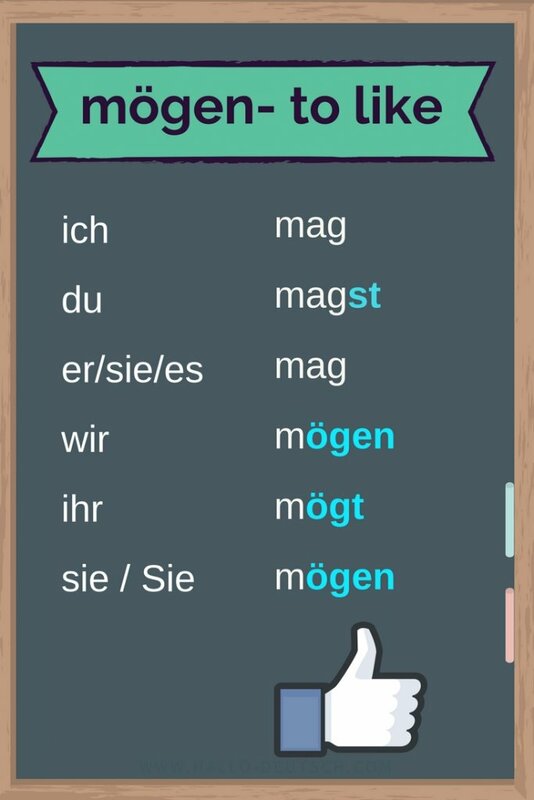 “Lieb haben” and “mögen” are two words that have similar yet different meanings. Their meanings may differ according to how they are used. Both verbs aren’t as strong as “lieben”, still “Ich hab dich lieb / gern” is often used for expressing love. Peter und Carina haben sich lieb. The term “mögen” is the most commonly used word to talk about the fact that we like something, which can refer to our hobbies, the food or people we like. What is the difference between beenden and enden? Signup for German learning tips!